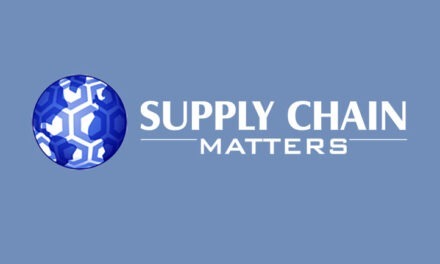 We want to alert our readers that Supply Chain Matters has returned from two weeks of summer holiday. Another consolidation effort in ocean container shipping with the July 8th announcement by China’s Cosco Shipping Holdings intent to acquire a reported $6.3 billion controlling interest in Hong-Kong based Orient Overseas International (OOCL). The deal, if consummated and approved by global maritime regulators, would result in Cosco being recognized as the third largest container shipping firm in terms of capacity, behind industry leader Maersk and Mediterranean Shipping Co. (MSC). Also with the approval of Costco’s move, the top six ocean container shipping lines would in-essence, control three-quarters of all ocean transportation. That has implications for global shippers and industry supply chains. Continued rumors abounding as to what is no-doubt, the globe’s most visible supply chain. Various reports indicate that Apple’s planned introduction and shipment of its new line of smartphones, including the hyped 10th Anniversary edition, is reportedly behind schedule due to various production start-up or other delays. Such rumors and speculation are nothing new, and some argue are orchestrated to create a frenzy of demand among Apple’s loyal customer base eager to get hands on the latest model. As to what really is occurring is a matter of time and continual observation, especially considering the financial stakes among Apple’s supplier ecosystem. The retail industry is buzzing over the announcement of an agreement among Sears Holdings and Amazon indicating that Sears will sell its Kenmore line of refrigerators and kitchen appliances on the Fulfilled by Amazon online fulfillment platform. The move thrusts Amazon much deeper into hard-goods retailing and distribution, a segment yet to be penetrated. From our lens, the more interesting twist to this development is a large retailer, on literal financial life-support, taking a gamble with one of the most-savvy online retailers. There may well be more to this new partnership in the coming months. On the similar theme of Amazon, business news network CNBC reports that to boost its online catalog of offered merchandise, the online retailer has introduced a new program offering retailers the opportunity to have Amazon buy inventory at full price from third-party merchants while offering to sell such goods on the Fulfilled by Amazon portal. According to this report, in some cases, Amazon has approached third-party merchants after specific end-item manufacturers have specific contract clauses prohibiting the distribution of that manufacturer’s products on the Amazon platform. This has the potential to place certain merchants in contract violation with a specific manufacturer or goods producer. Beginning in August, Wal-Mart will operationalize its “On-Time, In-Full” program, holding suppliers accountable for shipments to be delivered exactly to schedule. The program applies to full-truckload shipments of fast-moving items to the global retailer’s vast network of store distribution and customer fulfillment centers. According to Wal-Mart, goods must be delivered as ordered 100 percent in full, and must arrive on the firm delivery date 75 percent of the time. Items that are late or missing during a one-month period will incur a fine of 3 percent of the goods value. Thus, suppliers will be held to stricter delivery scheduling and stand to be penalized for nay shipments arriving later or even earlier that the planned delivery date. According to a report by Bloomberg, OTIF is one of the hottest discussion topics in retail as suppliers prepare for supporting this new program. Wal-Mart is reportedly playing hardball as well, indicating that if a supplier is determined to be at-fault for not delivering goods on the specified day, the delivery fine will be enforced and is according to the retailer, non-negotiable. From our lens, this will provide rather interesting dynamics among suppliers and their third-party logistics providers contracted to deliver to Wall-Mart. 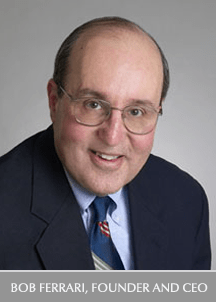 Who pares the burden of the fine when the 3PL is deemed at-fault? There was another reported norovirus incident involving a Chipotle Mexican Grill restaurant, this one being an outlet located in that state of Virginia, where upwards of 100 patrons were sickened. Preliminary indications are that the contamination did not originate from the food supply chain, but none the less, the incident casts yet another shadow of scrutiny for the restaurant chain’s food safety practices. Wall Street is now awakening to the realization that more consumers will shun the Chipotle brand and that the chain’s aggressive efforts to convince consumers that its food safety mitigation efforts had been addressed. Weeks after the late June Petya cyberattack that impacted numerous businesses across Europe, FedEx’s TNT Express unit reportedly is still experiencing the aftereffects. Some recent securities filing by the company indicates that TNT shipping hubs and facilities remain operational but are being operated with manual processes. FedEx indicates it cannot estimate at this time when full computerized operations will be restored and that the cyberattack will likely have a financial impact on its operations for the quarter. Further disclosed was that FedEx does not have business insurance to compensate for the effects of a cyberattack. Indeed, the supply chain universe continues to overcome business challenges and Supply Chain Matters will continue to provide our readers the essential insights as to what to expect and how to prepare. Stay tuned for continued multi-industry coverage and insights.